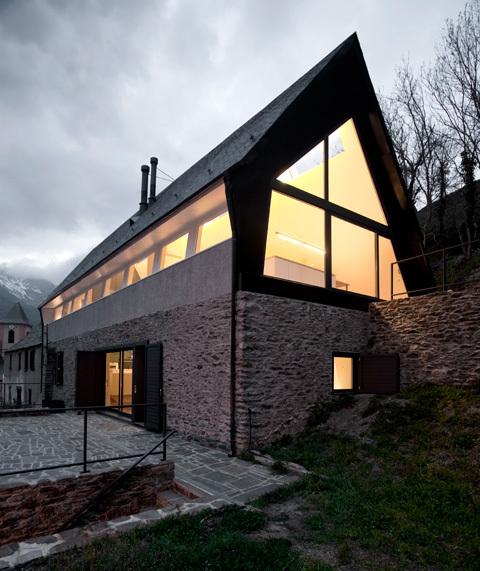 The combination of historical brickwork and a new roof superstructure created a single-family home in the Catalan Pyrenees based on a concept by architects cadaval & solà-morales. 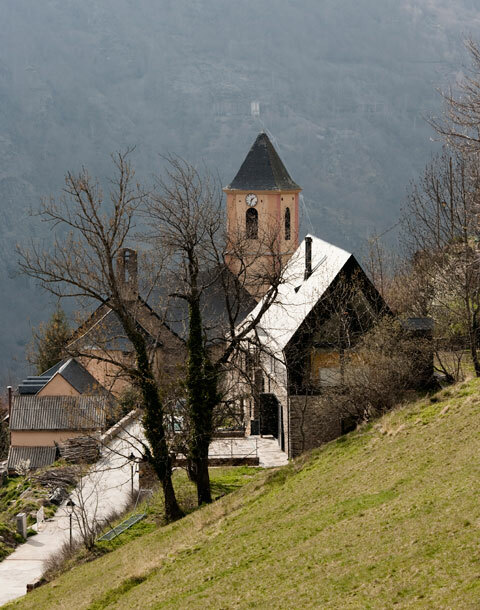 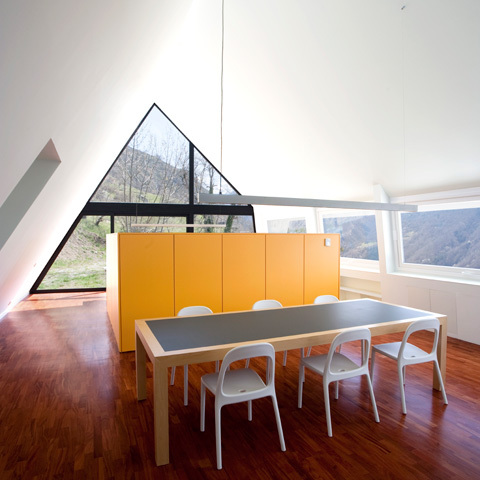 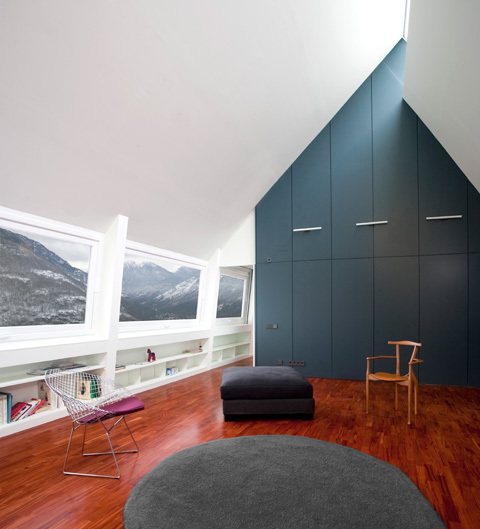 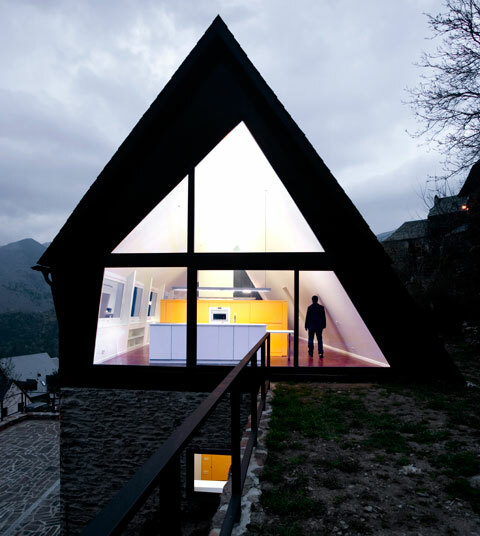 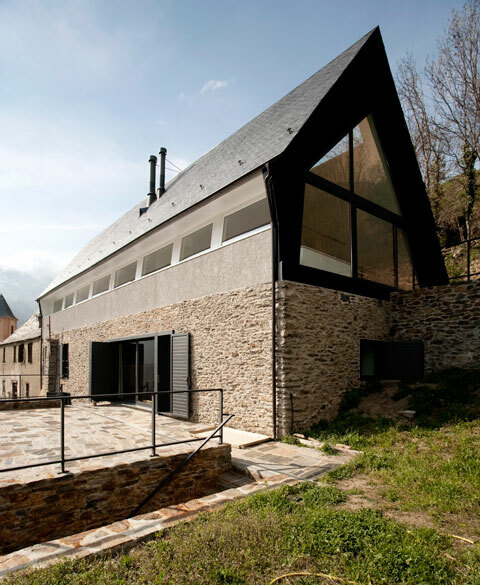 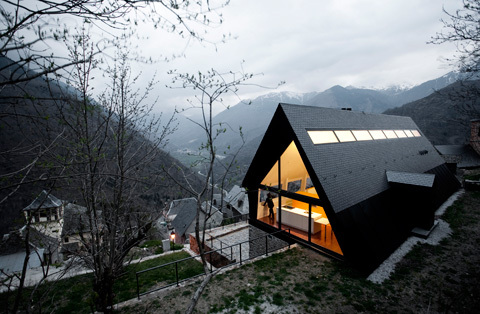 A new top floor was built on the historical core of a dry masonry structure, which is a style typical of the Pyrenees. 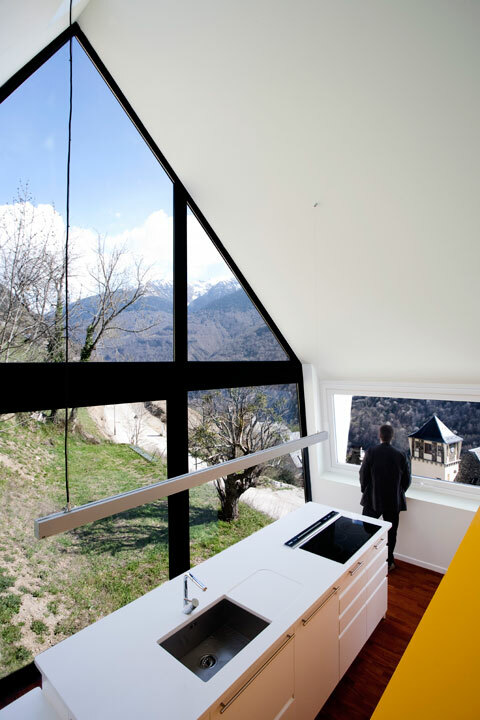 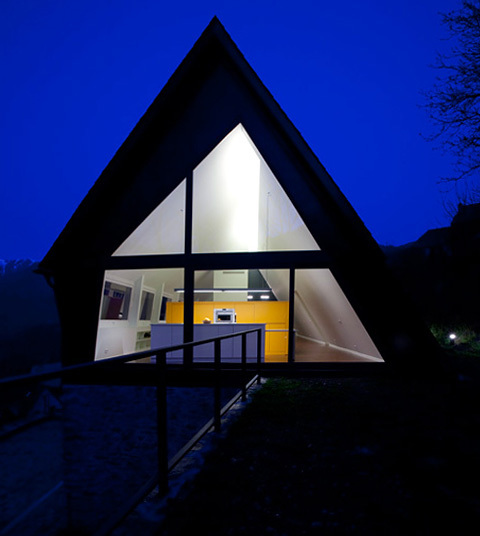 The large glass façades at the gable ends of the house's new attic floor open out onto a deep precipice, while ribbon glazing overlooking the hill side offers a generous view of the surrounding landscape. 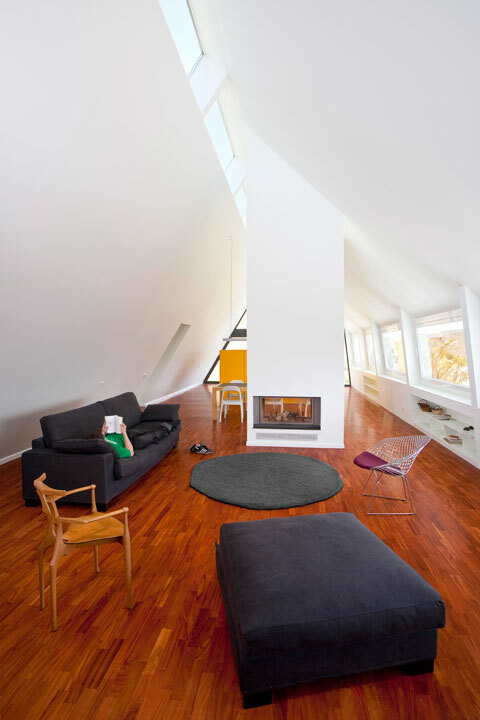 Warm light, brown parquet flooring and walls accentuated by orange hues set the interior tone. 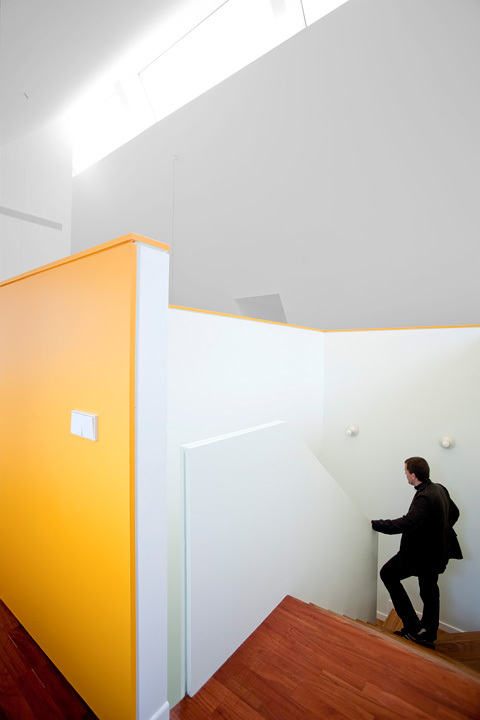 The project is a good example of how local building design is preserved and contrasted with an additional structure. 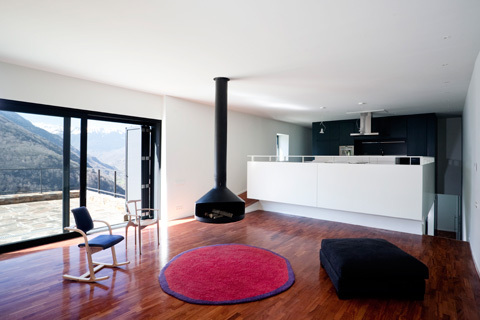 New technologies and local expertise were used to create a sustainable building in an extreme climate setting.